I’m elated to have Elana of Room 334 share her thrifty style with you. She has a dress collection to die for and I always look forward to seeing what she’ll wear next. Please enjoy this post from her! Hi there! I’m Elana from Room 334, and I’m so happy that Hannah asked me to guest post for her! As you well know, Hannah is the queen of thrifting, and that passion is something we share in common. It’s one of the reasons why I was so drawn to her in the first place, but you get that. I decided quickly that I wanted to share an entirely thrifted outfit for this post, but the real question was, which one? Most of my closet comes from thrift stores, which means that I could have closed my eyes, reached in, and pulled out any number of items that would have works. But why limit myself? 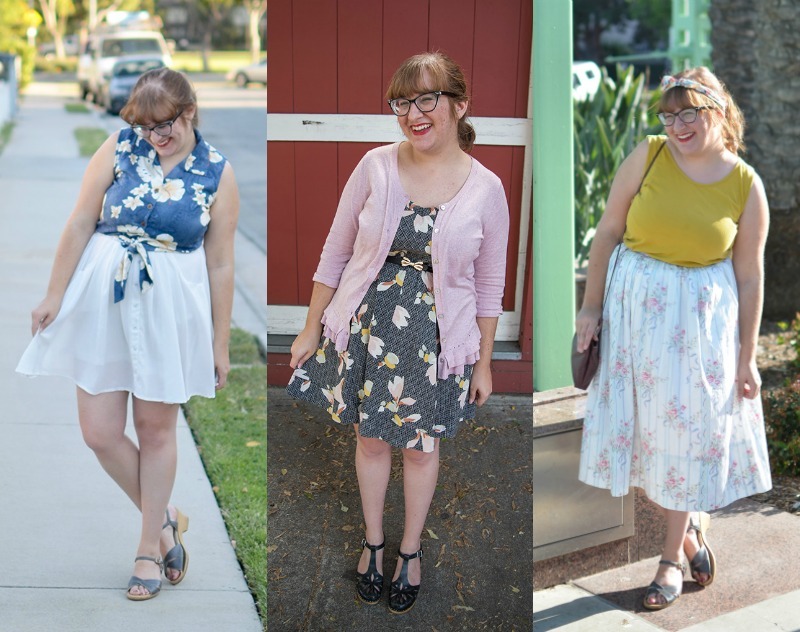 Instead, here are a few thrifted outfits for summer and where to find them. Know what to buy new vs. what to buy used: while most of my clothes are bought second-hand, there are definitely some items that I know I’ll have to buy new. That novelty print fit and flare dress I’ve been dreaming about? I’ll probably have a hard time finding exactly what I want in a thrift store. But I know that I’ll never buy a sleeveless button down that isn’t thrifted. They’re kind of my jam. They make for such a perfect summer uniform that’s easy to throw on, but it still looks like I tried. The best part? They’re one of the easiest things to find in thrift stores, and usually for under $5. Look online: While scouring through thrift stores in real life will always be my favorite past time, you can get a similar experience online. One of my favorites is Schoola, particularly because 40% of the proceeds goes to schools, and I also usually have good luck with ThredUp. 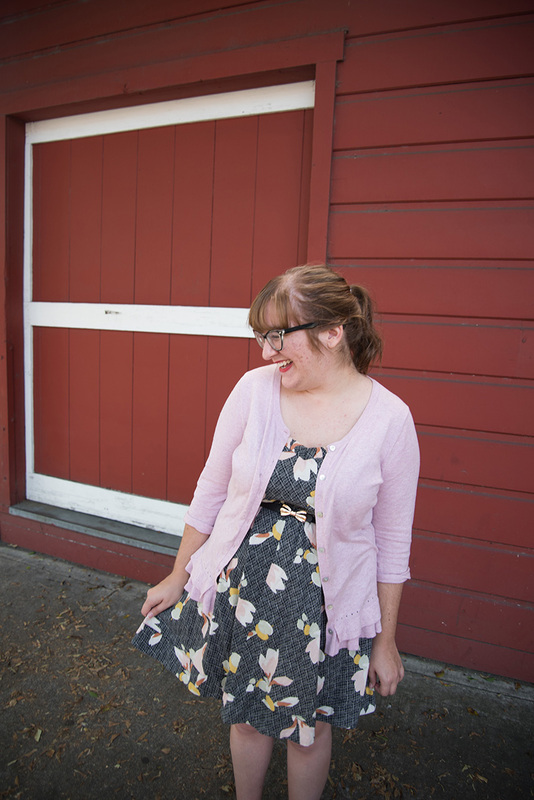 Websites like these tend to have a ton of stock, so you still get that same feeling of accomplishment when you stumble upon a true gem (like this ruffled cardigan I scored from Schoola). It’s just a matter of clicking through pages rather than thumbing through wool sweaters. Don’t forget about antique stores: I have a list of my go-to thrift stores that are filled with clothes, but I usually try to stop by a few antique stores as well. While most are going to have more home goods than clothes, there usually will be a section (or a few if the store is bigger) where some sweet threads might be hiding. This striped and floral skirt was crumpled up in a basket in one of my local antique stores, which made it even more special when I pulled it out and it happened to be in size. Success! 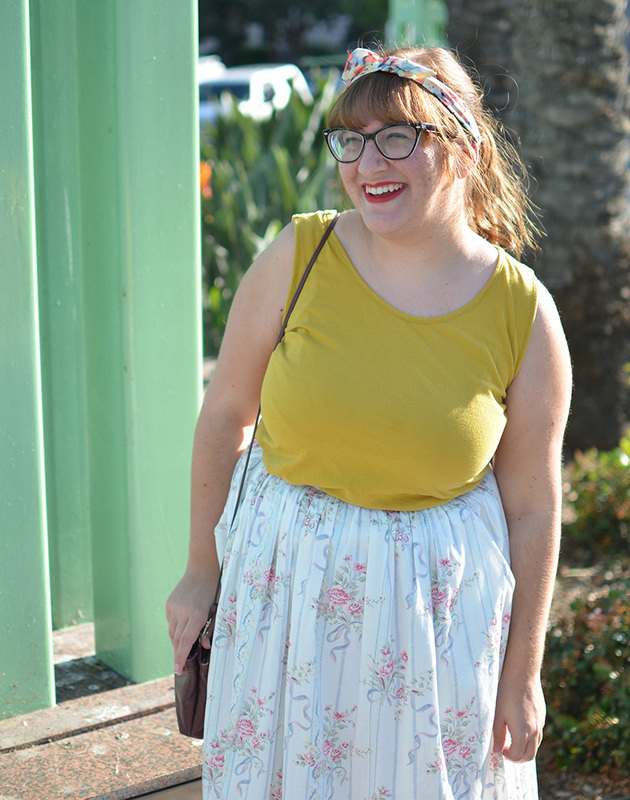 I know thrift tips are a dime a dozen, especially if you’re already a regular reader of The Outfit Repeater, but I hope this served as some inspiration! Thanks so much to Hannah for having me while she enjoys her vacation. I hope you’ll pop by my blog or Instagram and say hi! If you like Hannah, then we’ll be good friends.